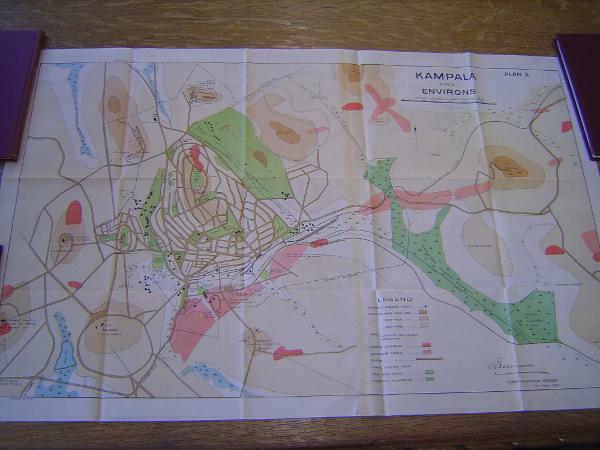 Kampala in 1930 was still a small place, as this map from Mirams (volume two) suggests. The three ovals in the lower left mark the Anglican and Catholic churches along with the royal palace. Old Kampala is due north of the palace and looks rather like a candle flame. Kampala town lies to its east.